Fast food french fries are absolutely delightful, especially when you're craving a quick, naughty starchy snack. They just hit the spot every time. Dredge them in cheese and other savory toppings and you're really in business. Fries just taste infinitely better that way than their plain, more sensible counterparts. Fortunately, McDonald's has caught on to this phenomenon and is testing out their new Loaded Bacon and Cheese Basket of Fries, according to Brand Eating. "We've managed to top our World Famous Fries…" McDonald's Pittsburgh area branch tweeted along with a promo picture. They cost $3.99, and the portion is pretty huge -- it's meant to feed at least two people, so it's not too bad of a deal. Order these bad boys and you'll get a cardboard basket of signature fries smothered in cheddar cheese sauce and the same applewood-smoked bacon that you find in their sandwiches. Sound familiar? That might be because Wendy's debuted their Baconator fries, which feature melted shredded cheddar cheese and a similar type of bacon for half the price, though admittedly a smaller portion than McD's. No official word yet on who makes it better, but the good news is that if you're a fan of such offerings, they'll be easier to get your hands on. So far, reviews have been mixed. I just want to personally thank @McDonalds for bringing bacon cheese fries to our McDonald's. My dreams have come true. ?? 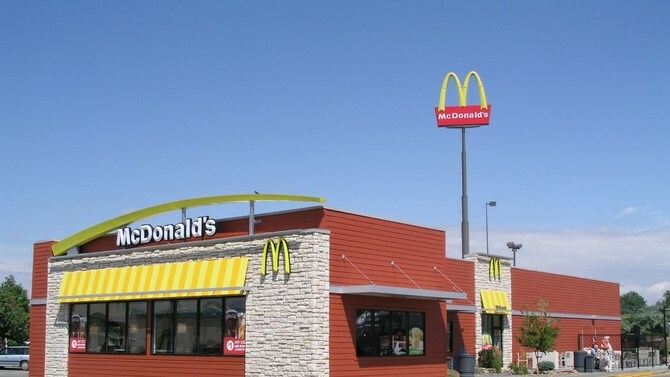 Sadly, McDonald's is still in the process of testing the fries, so they aren't available across the country yet, but you can find them at a number of restaurants in the Greater Pittsburgh area, Central West Virginia, Southeast Ohio and Eastern Kentucky. They also have similar offerings in Mexico. The fast food chain has big plans for the summer: They are also bringing back their seasonal $9 lobster roll for hungry New Englanders for a limited time, notes Today.